Online retail is very similar to traditional retail. We still need to persuade customers and build trust. Yes the methods have changed – we can use Facebook, Instagram, Google and PayPal to do these for us now – but they’re still an important part of getting customers to complete purchases with us online. Arguably the most difficult skill to transfer to the online experience is handling objections. As we don’t get to speak to the customers as we would in a store, we have to rely on our purchase process being as smooth as possible to ensure we maximize our conversions. As shipping is consistently the number one reason for cart abandonment, here’s how you can update your processes to stop pushing customers away. With some surveys indicating as many as 50% of responders have abandoned a purchase based on a lack of shipping options the message is clear: customers want choice. Offering multiple options isn’t all that hard to do either. Simply offering both express and standard shipping methods could have a significant impact on your conversions. This allows you to appeal to those after the best price as well as impatient customers who are happy to pay to receive their goods faster. To really give your customers choice, however, you could look at incorporating 3-hour shipping, delivery to secure parcel lockers or a click and collect option if you have physical stores. 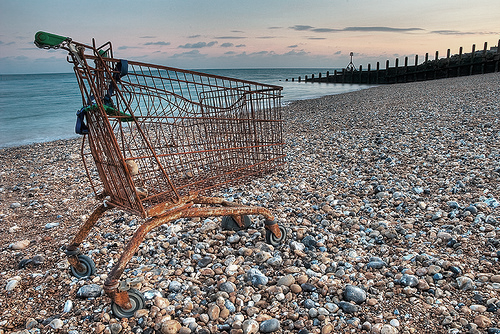 Several of the top reasons for cart abandonment involve shipping costs. Shipping costs inflating the total cost of an order, not qualifying for free shipping and showing shipping costs late in the checkout are all huge contributors to abandoned orders. Be clear and upfront about your costs. If you have flat rate shipping, let everyone know and if you have a free shipping threshold, make that clear – you’ll increase average cart value and convert more sales. So long as customers know from the beginning they will be paying a flat rate for shipping or that there is a threshold for free shipping then they won’t be surprised come checkout time. 86% of customers check shipping and returns policies as a precaution before buying online. By providing clear instructions or having a simple process that doesn’t require the customer to jump through hoops you build trust and allay any possible concerns the customer might have about a product. That’s not to say you need to offer free returns – it’s a good option for the right business but it’s also hugely expensive. A really simple way to make your returns simpler is to stop hiding your returns policy in an obscure page full of fine print. Prominently advertise it on your website and state the amount of time customers have to return items – at least then customers know that you have a returns policy. The next step is to provide your customers with all the tools they need to return an item. Shipping with re-usable satchels or boxes means customers don’t have to find or buy their own. Being able to provide customers with a method of printing their own shipping labels is even more helpful and saves customers having to visit a post office. Yes faster deliveries would be nice, however making the order process faster for your customer is a good start. A one second delay page response time can result in 7% fewer conversions. This means that you want to have as few checkout pages as possible and make sure there is nothing to slow down the process. One of the more common delays can come from websites querying courier companies for rates which can take up to several seconds depending on the company. To solve this you could either hedge your bets and set a flat rate for shipments or engage with a shipping solution partner that holds all of the shipping rates in their logic.